Silver. Wine. Art. Gold. SWAG assets. 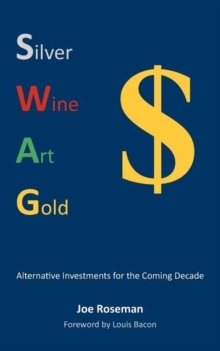 Over the last decade, through the dot.com bust, the credit crisis, one recession, one depression and the current European sovereign debt crisis, SWAG assets have produced stunning returns. This is in stark contrast to traditional assets like equities which are typically lower today than a decade ago. This is an era of financial repression where savings rates are kept below inflation. It is an era of money printing and bail-outs where reckless borrowers get bailed out by prudent savers. Investors, be they professional fund managers, billionaires or just ordinary savers need to protect themselves against this process through SWAG.